Keelung is the last stop of our Taipei Outskirts: Yehliu-Jiufen-Keelung trip. 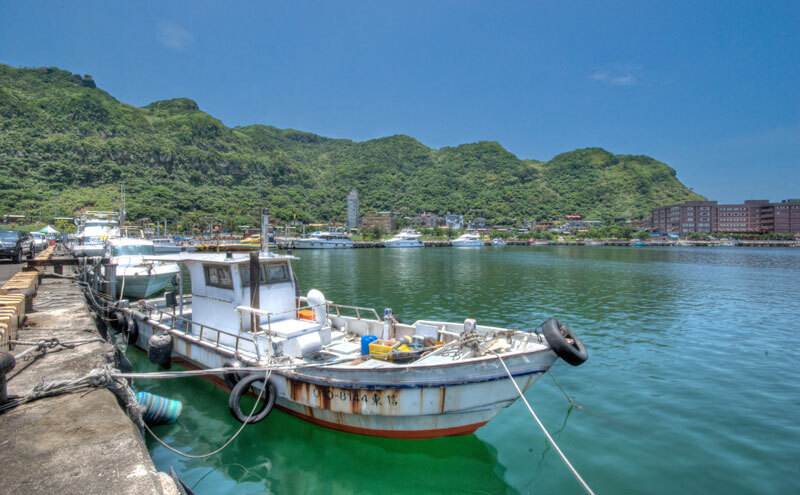 Keelung was once a small fishing town and now is the biggest city in the northern coast of Taiwan. 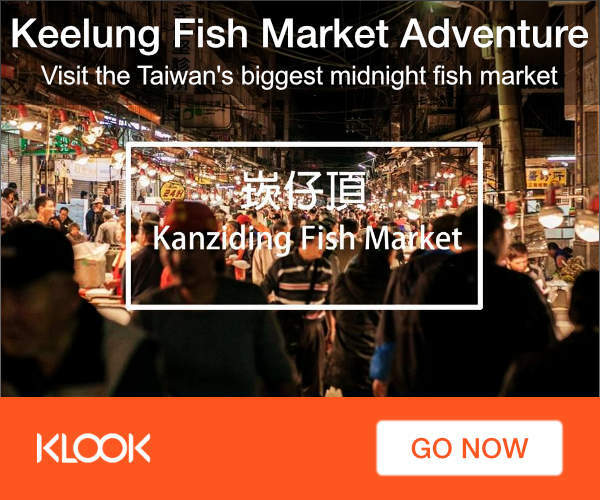 We asked our driver to take us to Taiwan’s most famous Miaokou night market – 基隆廟口夜市, literally translated to “temple’s entrance night market”. Why is it called Temple’s Entrance Night Market? 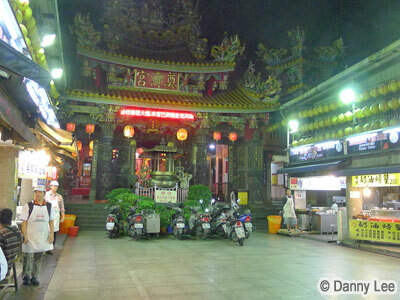 That’s because the market is located near the famous Dianji Temple – 奠濟宮. Naturally, being a fishing port, most of the food here is from the nearby sea and hence their seafood is really fresh and affordable! What is unique about this night market is I noticed the food stores have signs in multiple languages (English, Japanese and Chinese). I do not recall seeing this in other night markets. 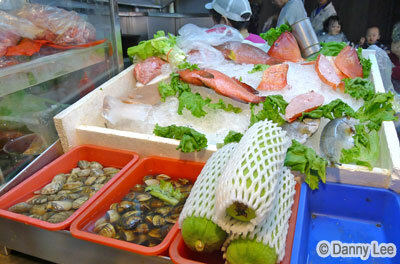 This night market seems quite similar to other Taipei night markets in terms of variey of stalls. 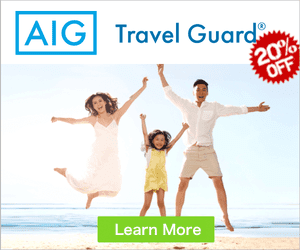 However the mood is different – the people here are more relaxed. And the air is cooler and fresher because of the sea nearby. We tried lots of seafood here, especially the oyster omelette and steamed fresh fishes. I’ve never seen such a huge tray of fresh oysters! They are bigger than my thumb. 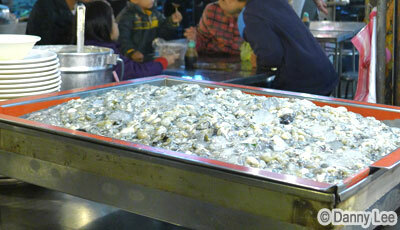 Unlike the oyster omelette in Singapore, the oyster omelette here has more oysters than eggs!